Welcome back to my Top Ten lists! These lists are my top ten favorite bloggers and sites! So far, I’ve posted my Top Ten Geeky Food Blogs and Top Ten Fashion Geeks. 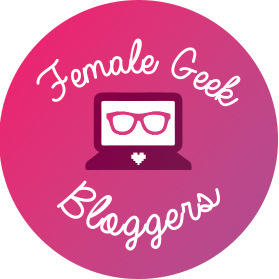 With the official month of resolutions not too far behind us, and the lack of motivation starting to creep in, I thought a post all about geeky fitness and wellness bloggers and social media gurus would be perfect for March’s Top Ten Geeks. I’m no stranger to the Sunshine Blogger award, and it warms my heart every time I get a nomination! It’s been awhile since I’ve received one of these awards, so this one really means a lot! Our writing community here on WordPress is so supportive and spreads love where ever they go. Special thank you to Neko Jonez for the award nomination. I filmed my 500 #wordpress followers over the weekend and I am SO EXCITED to finish editing the video for next Friday. I have a google doc FULL of ideas but what would y’all like to see next? Do these speak to you? Let me know if you have another idea!